The location of poles of sampled models depends on the poles of the underlying continuous-time system and the sampling period. However, the relation between the zeros in discrete-time and continuous-time is much more involved. The sampled model can have extra zeros which have no continuous-time counterpart. 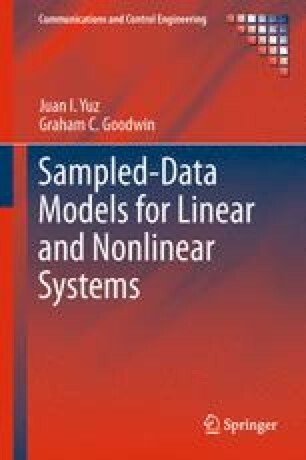 This chapter examines the asymptotic behaviour of these sampling zeros in the discrete-time model, as the sampling period goes to zero.